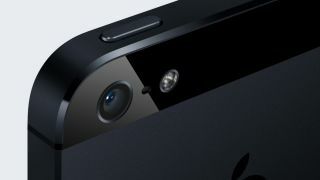 Apple has confirmed to TechRadar that its new iPhone 5 will come with a smaller SIM card yet again. The new SIM card will be up to 40 percent smaller than previous designs, (12.3mm x 8.8mm) and allows for phones to be even thinner than before. However, it's likely that Apple chose to omit this vital piece of information as while it does facilitate smaller devices, it's yet another component to upgrade after the new Lightning dock. Consumers will need to order a new SIM card to upgrade to the new iPhone 5, coming only two years after the first SIM change to the current microSIM standard. Vodafone has said it has 500,000 nanoSIM cards in stock and ready to be dished out to customers now that the iPhone 5 has launched, so at least the networks are ready. But it's not good news for those looking to pick up an iPhone 5 on launch day, as it means yet another hoop to jump through in order to get your shiny new smartphone.